Jaipur : The process of admission to M.Phil./Ph.D. Programme under Phase II has begun from 2nd December 2015. The last date of online submission of Application Form on Rajasthan University website is 9th Dec 2015. Prof. S.C. Bardia, convener of UNIRAJ MPAT – 2015 told that entrance test for the remaining about 325 seats in each M.Phil. and Ph.D. programmes pertaining to 40 departments of Rajasthan University will be held on December 30th, 2015. The detailed information about eligibility, fee, department–wise number of vacant seats etc. 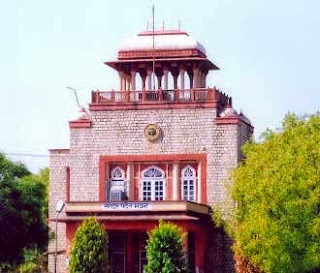 are available on http://www.uniraj.ac.in/ which is the Rajasthan University official website.